Agellan Commercial Real Estate Investment Trust (ACR-UN-T) will add two southern U.S. industrial properties to its portfolio; a 50 per cent interest in a massive distribution centre in Atlanta, and 100 per cent ownership of a light industrial property in Austin, Texas. The latest purchases continue a busy 2018 for the REIT, which included the sale in May of the 868,000-square-foot Parkway Place office complex in Toronto for Cdn$256 million. Agellan also purchased seven industrial properties in April in the Dallas area, comprising a total of 194,000 square feet, for US$12.2 million. 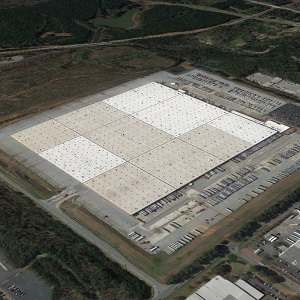 The Newnan Distribution Center in Atlanta is a 1.9 million-square-foot facility and will be acquired for approximately US$53 million (before closing costs). The price represents a going-in capitalization rate of 5.5 per cent, and a stabilized cap rate of approximately 7.25 per cent. Agellan, together with an undisclosed private Canadian-based investor, intend to acquire the property through a partnership. The REIT will also provide asset management services. Agellan’s portion of the purchase price will be paid with cash on hand and/or proceeds from debt financing. This property comprises modern warehouse and distribution features and is currently 87 per cent leased to two tenants, Variety Wholesalers (1.4 million square feet), and Elite Comfort Solutions (257,000 square feet). The tenants have a remaining weighted average lease term of approximately 16.4 years. A single block of about 255,000 square feet remains vacant. The building includes spaces for 1,000 trailers, and has 118 dock-high loading bays, according to a marketing brochure issued by HFF. Built in 1978 and extensively renovated in 2001, the centre is located along the rapidly growing I-85 South corridor, with connections to a network of major thoroughfares including I-65, I-285 and I-75. Corridor Park D comprises approximately 56,000 square feet and will be acquired for US$8.35 million (before closing costs), with a going-in capitalization rate of approximately 7.59 per cent. This property is comprised of four suites leased to a single tenant, with just over three years of lease term remaining. The property is expected to be purchased with cash on hand. Corrridor Park D is in the North Central Austin submarket, which has recently seen strong occupancy and net absorption trends. This property requires limited capital expenditures due to recent improvements to HVAC, landscaping, painting and significant tenant investment. The acquisitions are both expected to close by the end of the third quarter of 2018, subject to the usual closing conditions. The REIT is an unincorporated, open-ended real estate investment trust under the laws of the Province of Ontario. Agellan owns and acquires industrial, office and retail properties in select target markets in the United States and Canada. The REIT’s 44 properties contain 6.3 million square feet of gross leasable area, with Agellan’s ownership interest at 6.0 million square feet. The properties are primarily located in major urban markets in the United States.